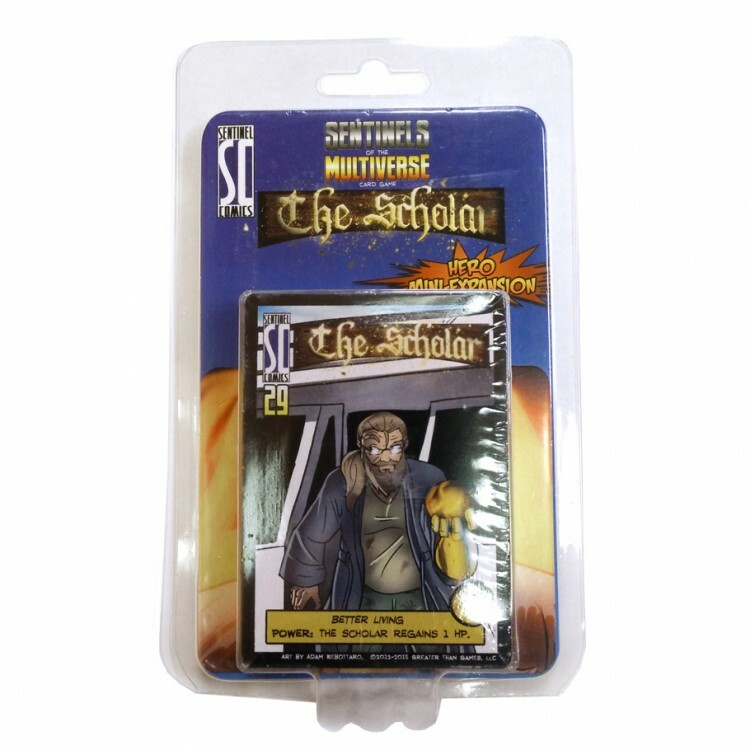 A 41 card Mini-expansion to the Sentinels of the Multiverse featuring an unconventional, alchemy-based hero: The Scholar! John Rhodes is an ancient vagabond and wielding the Philosopher's Stone, he brings both his considerable abilities and his wisdom to aid the heroes of the Multiverse! The Scholar is a standalone hero character with his own unique deck of 40 hero cards and a character card.